Giuseppe Verdi is the untrained, scandal-courting, tragedy-stricken, king of opera. More than 100 years after his death, Verdi’s musical influence has spread far beyond the realms of opera and into popular culture. He’s even made it onto the red carpet! That is just one reason why we are championing Verdi. His ‘La donna è mobile’ from Rigoletto, ‘Va, pensiero’ from Nabucco and ‘Libiamo ne’ lieti calici’ from La traviata are as well known in popular culture as they are in the world of opera. 1. From the opera Rigoletto (1851), ‘La Donna è Mobile’ has been used by Doritos in not one, but two Super Bowl ads and has been used to express the art of cooking in Leggo’s tomato sauce advert. It is the soundtrack for the Grand Theft Auto computer game, is regularly heard on the football pitch and has been recorded by most of the world’s great tenors. It's one of the operatic canons greatest ever moments. 2. After its premiere at La Scala in Milan (1842) ‘Va, Pensiero’, also known as The Chorus of the Hebrew Slaves from Nabucco, became the unofficial anthem for Italian freedom-fighters. Through his many works, Verdi reflected and even shaped the struggle for Italian unification known as Il Risorgimento: the Resurgence. It has been suggested numerous times that it replace the national anthem. In recent years the piece has been used as the soundtrack to the Tom Cruise film, The Color of Money. 3. La traviata (1853) is one of the most popular operas of all time. It’s so good; Katy Perry wore it. In 2017 she attended the Grammy Awards in a beautiful, bespoke La traviata gown. Designed by Valentino, it took over 1,600 hours to embroider with Verdi’s score. It was named La Valse de Violetta Valéry, after the aria ‘Sempre libera degg’io’, also known as Violetta’s Waltz in the opera. The opera has also provided a model and parallel to the films Pretty Woman and Moulin Rouge. ‘Libiamo ne’lieti calici’, the famous drinking song Alfredo sings in Act I, or Brindisi as it’s more commonly known, has been used by various brands, including Heineken, to promote their products. 4. The Anvil Chorus from Il Trovatore (1853) is among the most familiar and joyous pieces in all opera, from its racing pitter-patter rhythms to its ringing refrain. Gilbert and Sullivan musically spoofed the Anvil Chorus in their 1879 operetta The Pirates of Penzance. It is also the soundtrack to numerous films including D2: The Mighty Ducks, Babe: Pig in the City and Bad Santa and is often parodied in the Tiny Toons cartoons. It has also made the headlines. A lady from Slovakia played the aria ‘Ciel!... Non M’inganna’ on repeat from 6am to 10pm for an incredible 16 years. 5. Of his non-operatic works, his Requiem (1874) is the pinnacle. Over a century after its premiere, the second movement, ‘Dies Irae’, provided the backdrop to the famous ‘death of Leonidas’ scene, where the Persian archers pick off the Spartan warriors one by one in the epic fantasy movie 300, featuring Gerard Butler. With his beautiful melodies and captivating stories, Verdi was and remains today to be one of the most prolific composers of all time. So it’s no wonder that our Spring 2019 Season includes a Verdi masterpiece. 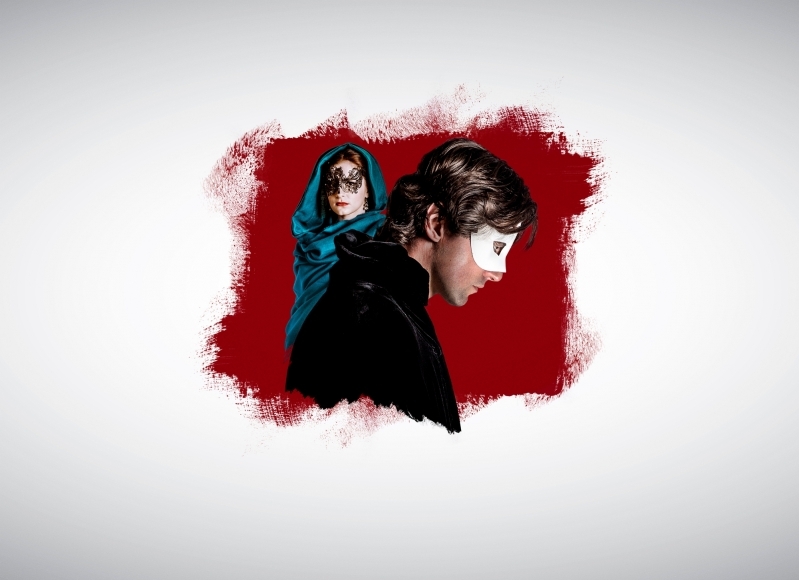 This Season, WNO presents the second opera in our Verdi triology, Un ballo in maschera, which is based on the real life assassination of King Gustav III of Sweden. One of Verdi’s rarer titles, it’s a ‘does-what-is-says-on-the-tin-opera’ as the title (in Italian) suggests; the drama unfolds at a masked ball. Originally set in Sweden in 1792, Verdi was forced to relocate the opera to the US due to the surrounding political controversy. Gwyn Hughes Jones and Mary Elizabeth Williams lead the cast in our brand new production that veers away from the version based in Boston.